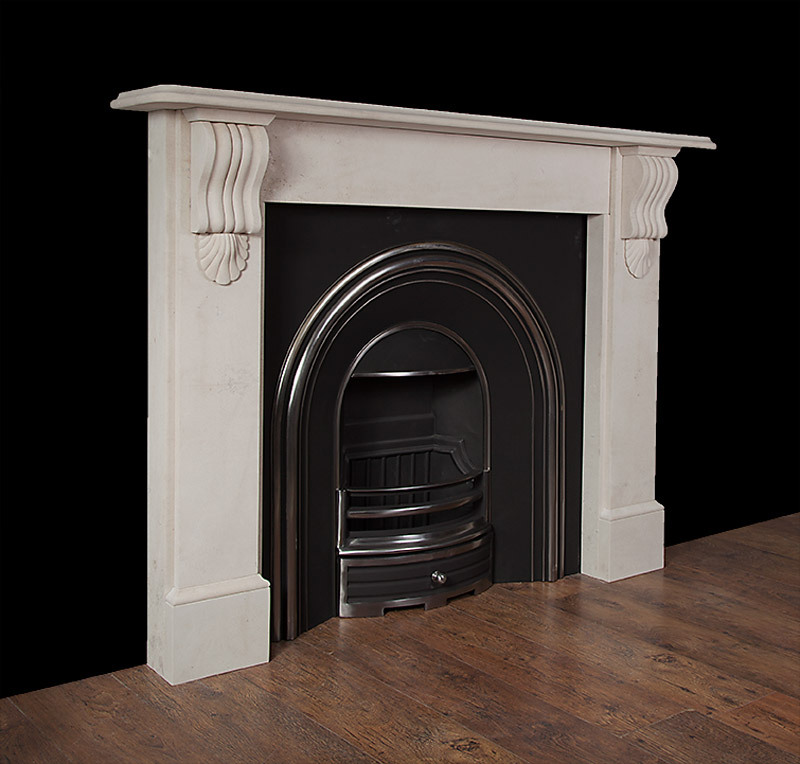 A desirable late 19th century design with plain jambs and frieze. 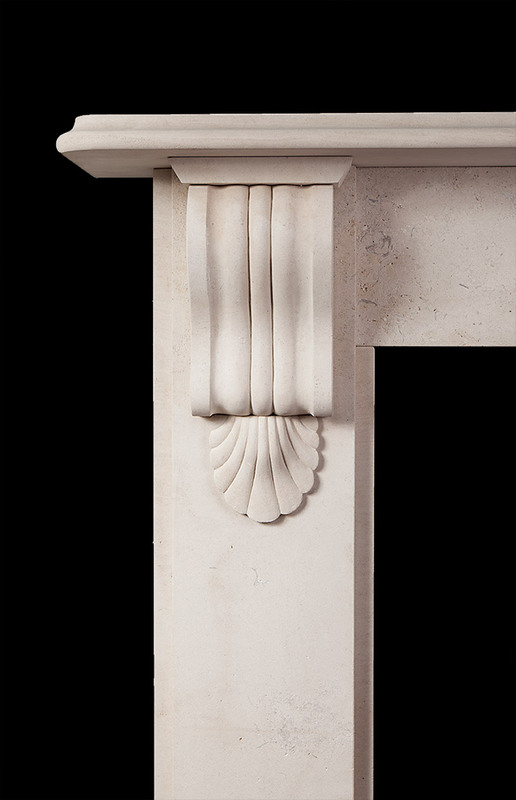 The carved scroll corbels support a generous moulded shelf. 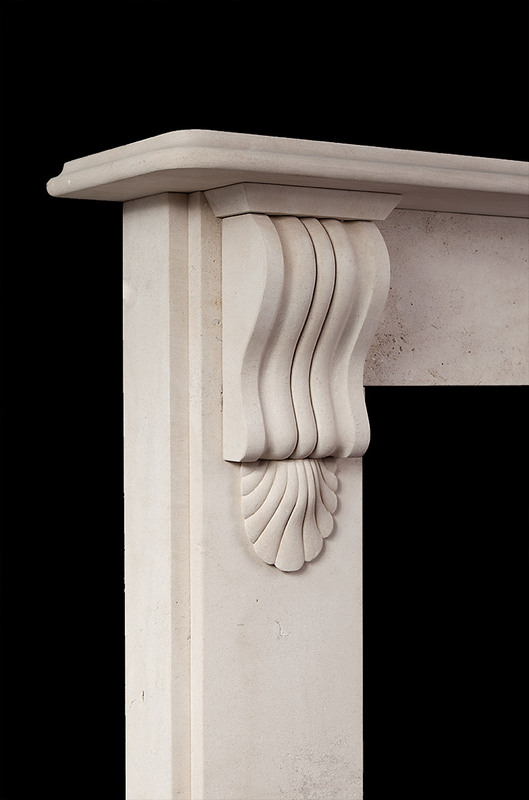 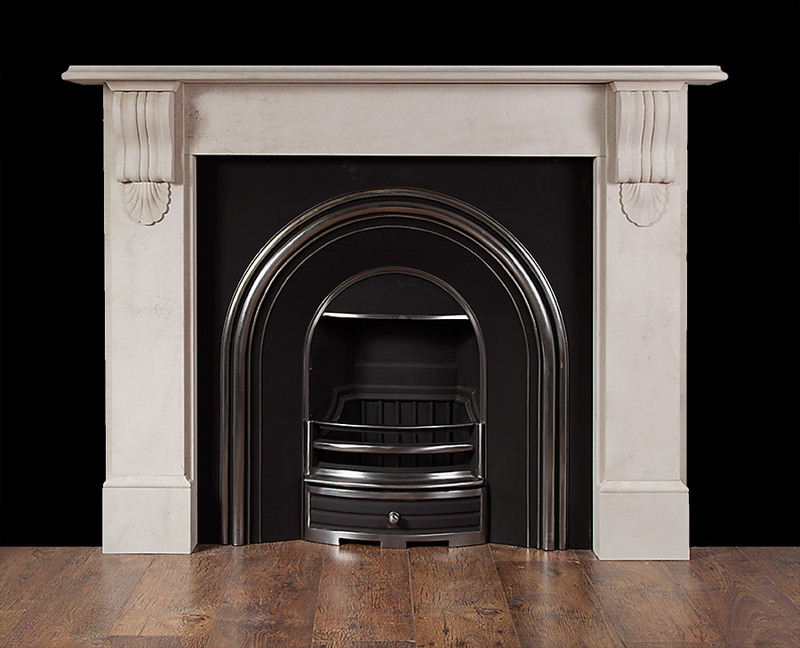 Made from English Portland Limestone.